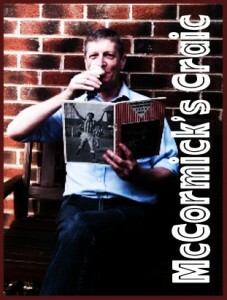 You are here: Home › McCormick's Craic › McCormick's dodgy numbers › Wolves and Derby? Or Villa and Cardiff? Leeds, Boro and Fulham for the playoffs? Bristol City and Sheffield United might say no. Here’s a brief chance to give your view now that the transfer window has closed. The site will be busy soon, we’ll have views from Lars and Pete, plus Pete looking forward to Ipswich tomorrow, so this will only be around for the rest of today. And why might you want to take part in our polls? Because it’s time to take stock of Wolves, Derby and Cardiff and, perhaps, to start tracking their progress. …Wolves have featured in these reviews for a while (as have Cardiff), are clear of the pack, and look like they have what it takes. After them, only 8 points separate Fulham (10th) from second place Derby. Goal Differences don’t vary much after Derby and Goals For are also close between many of the clubs vying for sixth or better. My reading of the situation is that Villa, especially, might have what it takes to catch Derby and I wouldn’t be surprised to see them there or thereabouts in May. Nor can Leeds be discounted and Middlesbrough, under a new manager with a reputation for defense, might also push into the top six. I’m not so sure about Fulham, although they do appear to be running into form. So now you have a chance to answer the question(s) I posed. Wolves and Derby are stilll out in the lead, Cardiff aren’t far behind while Fulham have closed the gap and Leeds have slipped. And that’s without mentioning Bristol City – impressive at the moment, Sheffield United – who are showing some steel and even Brentford. Will things stay as they are? What do you think? Here’s an up to date track of the original fancied clubs (you can catch up below if you’re new to the series), with spot values for Wolves and Derby.